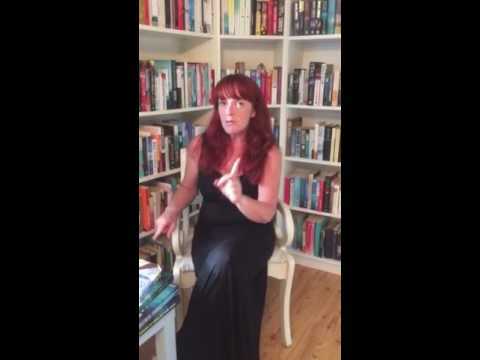 BleachHouseLibrary.ie: Book Review: The Ghosts of Magnificent Children by Caroline Busher. Book Review: The Ghosts of Magnificent Children by Caroline Busher. Reviewed by Mia Madden, age 13. This is an incredulous debut novel about four unique children. It's 1848 and twelve-year-old twins Archie and Millie live luxuriously. One night a circus comes and the twins go to it without permission. They get captured because of their abilities; they can read each others thoughts and Millie can turn into a fox and stick on to walls. In the same year, fourteen-year-old Theo and thirteen- year-old Ginny wander the streets with a nefarious pick-pocketing gang. Ginny gets briefly adopted after attempting to rob a finely dressed woman, but gets handed over to the circus. Theo gets caught as well and is also turned in. The circus wants these two because Ginny has a bird living inside of her and Theo can see your worst secret and how you die. These four kids band together and stay alive and become known as The Magnificent Children. But while touring Ireland, strange things happen that will mess with their minds forever. 100 years later, the children wake again to discover that they are dead. They meet an islander named Rua who wants to help them with their troubles. The children don't exactly trust Rua, as his father wants to destroy the children once and for all. Will Rua save the children or die at his ruthless father's hands? I find this book was sort of like Ransom Rigg's Ms. Peregrine's Home for Peculiar Children and I like it. After all, no book can be 100% unique. But, The Ghosts of Magnificent Children was better in my opinion as it was unpredictable, funny, mysterious and tragic at the same time. An absolutely super debut by Busher and I long for a follow-up title. Hopefully the author will write plenty of books to keep us entertained. I recommend this for ages 9+. 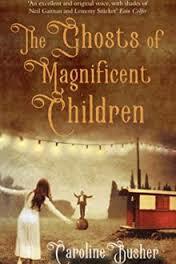 The Ghosts of Magnificent Children is published by Poolbeg books and is available in PB and ebook format. Mia, thanks for your engaging review and I look forward to buying this book on the back of your recommendation.